The miracle is you. Decorate your jacket, hat, collar, shirt or bag. Check out the NEW! 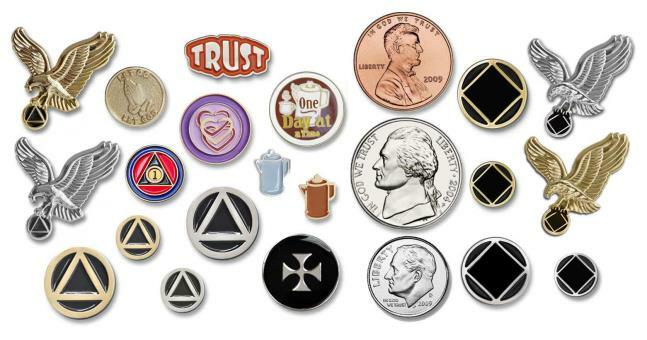 NA Lapel Pins! Secure fasteners. Painted on Gold Finish or Silver Finish metal.